Get 3 Months of Spotify Premium for only P9.00 before promo ends! 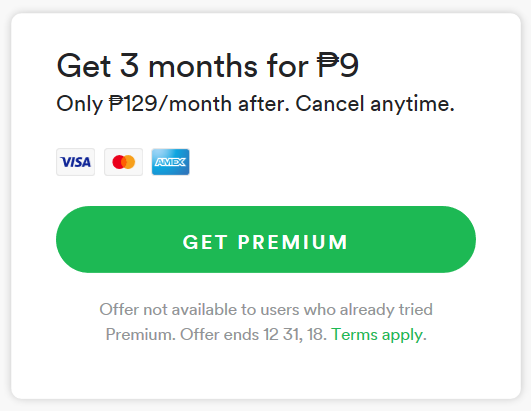 | TOKITECHIE'S BLOG Get 3 Months of Spotify Premium for only P9.00 before promo ends! HomeSpotifyGet 3 Months of Spotify Premium for only P9.00 before promo ends! Get 3 Months of Spotify Premium for only P9.00 before promo ends! Spotify's 9-peso promo which started last September will end soon! If it's your first time to avail of Spotify's monthly paid premium subscription of P129 per month, then, your first three months of premium subscription will only cost you 9 pesos! This promo is about to expire but you can still subscribe until December 31, 2018. To subscribe, go to www.spotify.com/ph, and click the "Get Premium" button. 1. You can download and listen to your favorite music anytime anywhere even if you're offline! 2. You can download the music on its highest quality format! 3. You can enjoy listening to your favorite music, non-stop without ads! 4. 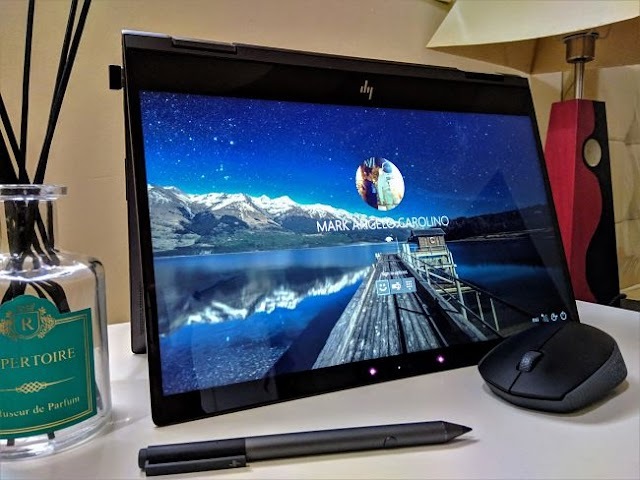 You can play any song on your mobile and play it on your external devices such as your laptop and smart speakers! 5. You have unlimited skips so can listen to your favorite music any way you want it! 6. You can connect your account to your Facebook account and interact with your friends through music. How to pay SSS and PAGIBIG contributions online via G-CASH?